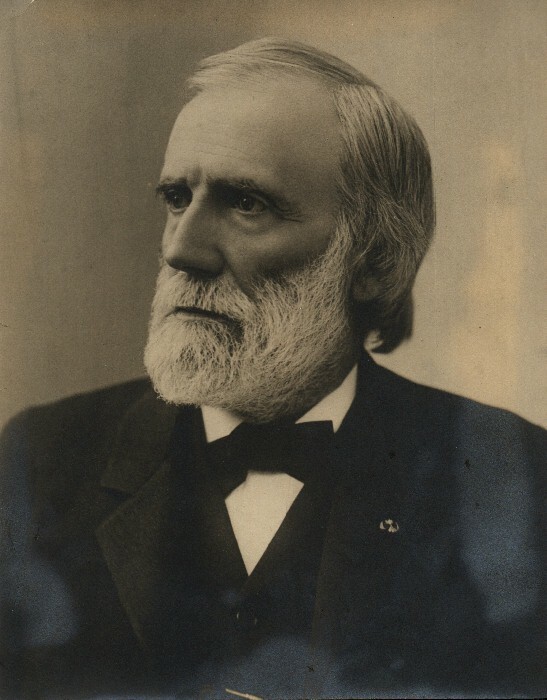 A professor of Latin at the University of Vermont until his death in 1915, Prof. Goodrich served as University Librarian and unofficial historian. In addition to his work in classics, Prof. Goodrich edited a monumental book on Vermont soldiers in the Revolution. He took his undergraduate education at UVM, where he was elected to Phi Beta Kappa as a member in course. He later served as president of the local chapter. He was also a founding member of the Delta Psi fraternity, and was instrumental in the purchase of the fraternity's house. The Goodrich Classical Club is named in his honor, as a scholar and educator truly worthy of emulation.